Your pet can holiday with you at The Old School. Ground floor- Sitting room with wood burning stove, large kitchen/dining, double bedroom with 3' single bed and pull out zip and link 3' bed which can be converted to 6' bed or can stay as two singles, walk in wet room and WC; Stairs to first floor- Twin bedroom with 3' single beds can convert to 6' double on request, Plasma TV, air conditioning; Twin bedroom with 3' single beds can convert to 6' double on request, family bathroom with double ended bath, power shower and WC. 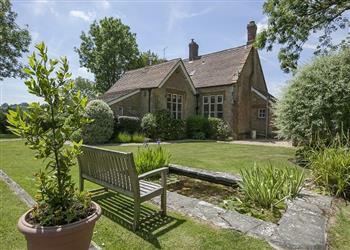 A family sized holiday cottage near South Perrott, The Old School could be the one for you. These are the reviews for The Old School. There are 8 reviews. We stayed at the Old School from 11th - 18th June. The garden was immaculate, very well looked after and the views were stunning. The village and surrounding area are beautiful. Beautiful cottage with a stunning garden. Very well equipped. Fabulous welcome hamper too! Very disappointing, the house not cleaned, lots of flies in window cills, cob webs everywhere especially wet room, showers in wet room not working correctly both bathrooms had mould on tiles, floors not cleaned under bins, crumbs on kitchen worktops and splash backs in kitchen and tiles not cleaned. When i contacted h/k regarding keys she was very off hand so we didn't contact her, as we didn't want a grumpy person coming in and spoiling our holiday. We paid quiet a lot of money for the cottage, we always happy to do this as we like a little bit of luxury, but in this case we feel let down. The garden is stunning and very well looked after and the cottage has obviously been much loved in the past lots of very nice touches but spoilt by lack of detail. Would be loath to us Rural Retreats again. It was all fine. Inevitably, there are things that could be better, but it is impossible to get things perfect all the time. A few comments, three specific to this property, and the other a general one. The first specific comment is that we found no information on local activities and attractions. Generally, guests leave leaflets around that are useful for other guests, but we found none at the property. The second specific comment, is that it looks as if limescale is affecting the water supply from the taps by partially blocking the flow. The third comment is about the radiator in the top floor room on the left of the staircase, which possibly has a lot of air in it, as it hardly warms up. The general comment, which applies to other Rural Retreats properties, is about leaving things in the dishwasher. I can understand that leaving a full dishwasher from the previous evening can be an issue, if something ends up not being cleaned well. But leaving a dishwasher with the breakfast things to be put away, involves a maximum of 3-4 minutes for a cleaner to deal with. What is often being asked, is for the dishwasher to be left empty, which means that the breakfast things have to be washed and dried (if you leave things to dry is the same as to leave them in the dishwasher, in terms of time to put them in their place) at a time when you have to do a lot of other things, such as packing up all the things. The welcome hamper provides some help at arrival time, and a bit of help on departure time would be appreciated - a dishwasher that only needs unloading a few breakfast things is not asking too much. Thank you for writing. We have arranged for a plumber to attend and rectify the issue with the radiator. We do request that guests put dirty crockery, cutlery and pans etc in the dishwasher and turn it on before their departure. We do not expect guests to wait and empty the dishwasher once it has run before leaving. I apologise if any literature in the cottage suggested that. The Old School in South Perrott is a fantastic location. Only comment is that the pub shown within the location description is closed until the summer of 2016, I appreciate that it will be hard to keep the website up to date at all times but this could have changed someones mind on where to stay. Thank you for bringing the information on the pub seasonal closure to our attention. We have updated the property details on the web site. If you're looking for other cottages around The Old School, we've got some cottages below which may take your liking. 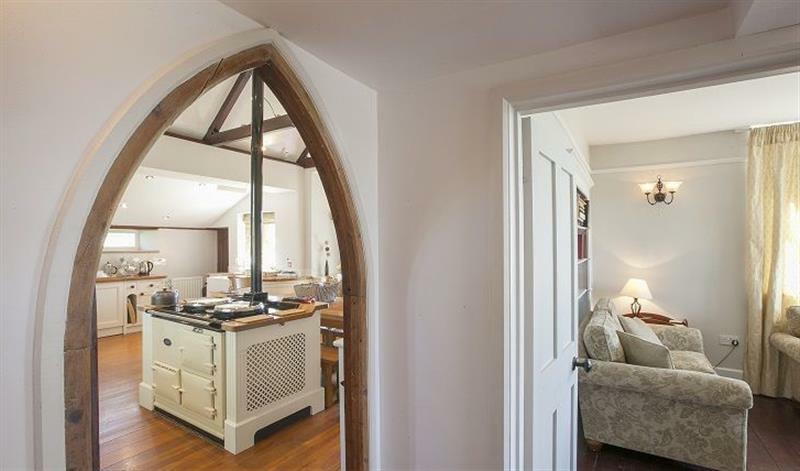 There are 31 cottages within 5 miles of The Old School - and they have reviews too.